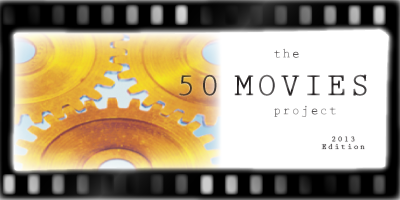 During this year’s 50 Movies Project, I have seen a number of great films, many of which I would now even consider among my favorites. None of these, however, could have prepared me for the experience of watching the 1928 silent film, The Passion of Joan of Arc, for the first time. 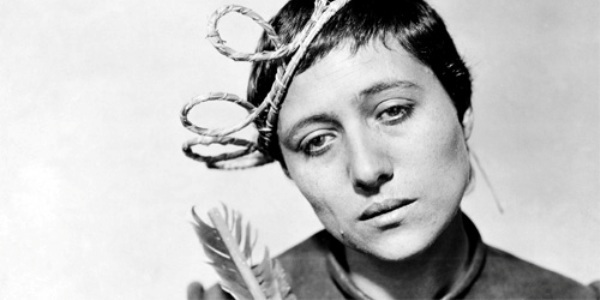 Before watching this highly-regarded Carl Theodor Dreyer classic, I knew very little of the true Joan of Arc story. This was something that I never learned in school or had even heard of until I was much older. Yet it resonated with me in ways I couldn’t have imagined. The film focuses on the trial of Joan of Arc, a 19-year-old French maiden who, claiming divine guidance, led the French army against England during the Hundred Years’ War. After being captured by a group of French who remained loyal to England, she is put on trial for charges of heresy. Unable to get a confession out of Joan, the English bishops begin to ridicule and torture her. This does not prove effective, however, as Joan is adamant about her visions and guidance from God. Claiming charges of “insubordination and heterodoxy”, the English eventually tie her to a stake and horrifically burn her alive. The on-screen proceedings are based on the actual trial documents, and this fact only adds to the emotional experience provided by the film. The way Joan is treated by what is essentially a group of old, bald, white guys that represent the Church is absolutely disgusting. She is mocked and treated cruelly by most involved, and the actual execution is presented as if it were a circus (complete with carnival performers and men on stilts). In fact, it is not until Joan is literally burning at the stake that the townspeople cause a ruckus. I know the world was significantly different in the 15th century (obviously), but it’s just baffling that something like this could even happen. Renée Jeanne Falconetti’s performance as Joan of Arc is widely considered to be one of the best of all time, and I’m not even going to try to argue that point. 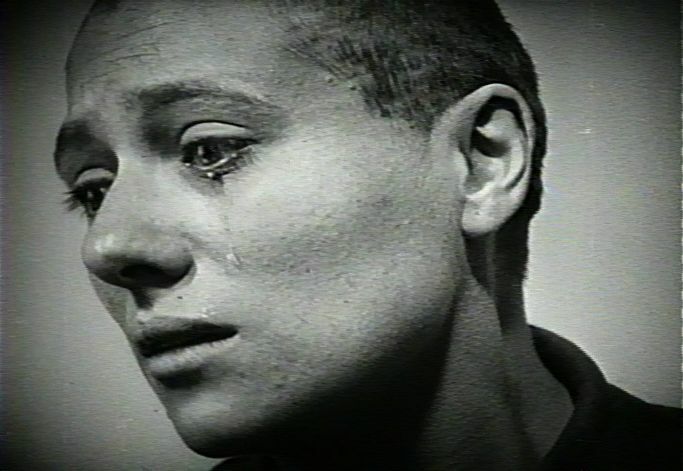 Her facial expressions, often shown through Dreyer’s extreme close-ups, will haunt you for days. Legends state that Falconetti was legitimately treated harshly on set, being forced to kneel on hard stone for hours at a time in an effort to provoke genuine emotion out of her. Perhaps this treatment is why she never starred in another film after this; a shame, too, given her flawlessness here. Quite frankly, The Passion of Joan of Arc completely blew me away. I had my reservations about watching a silent film that would appear to be dialogue-heavy, but I was transfixed from the very first scene. The version I watched was the one Dreyer intended, meaning that it was completely silent — no orchestra or score to speak of. This added to the intensity on screen, but I would love to watch this again someday with one of the acclaimed scores created afterward. Almost 100 years later, this film remains startingly effective. Wonderful review of such an iconic silent film! I haven’t seen this film in a very long time. I hope to re-visit it soon, perhaps at The George Eastman House here in Rochester NY, if they have a print. Thanks man. I’m going to keep an eye out for any theatrical screenings of this here as well. Would love to see this on the big screen, preferably with a live orchestra. Second overwhelmingly positive review I’ve recently seen for this one. It is moving up my list of must see classics rather quickly. Interesting. That makes it easier to see, doesn’t it? Nice review. I watched this again a few months ago and it was as stunning as my first viewing. Easily one of the best films of all time and I would agree that Falconetti’s performance is the strongest I’ve seen. Great to hear you are a fan as well. I wasn’t quite sure what to expect, but this one really blew me away. Excellent review, I need to watch this one. I’ve heard so many things about how much emotion Falconetti conveys in it. Thanks, Vinnie. Falconetti’s performance really is amazing… it’s a shame she never acted in a film again. I love this idea for a film project. I might have to look into starting one myself. Bravo! Thanks! The projects have certainly opened my eyes to films I might not have otherwise seen anytime soon. WOW, 10/10! You’ve got me even more intrigued to see this Eric. 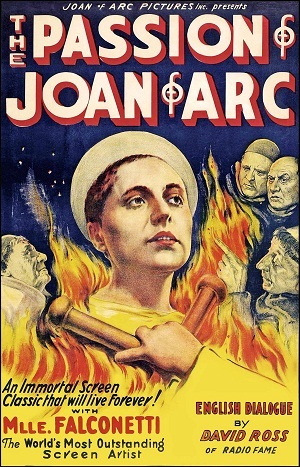 I’m not familiar w/ Joan of Arc story either, and this film has eluded me for so long. I should check this one out soon! Yep, and you know how hard it is to get a 10/10 from me. 😀 Best yet, the full-length film is easily available on YouTube. Yes! Her performance is unbelievable. I’d go 10/10 too if I rated it that way. Such a stunning film! It really blew me away. Great to hear you are a big fan as well! I agree. Such an excellent film. It’s one of my favorites, as well. Falconetti is brilliant. Never knew Dreyer intended it to be seen sans music. That would explain why that’s an option on the Criterion edition of the film. I do recommend it with the score available on the Criterion edition. It may seem a bit odd at first, but you get used to it. It’s an extremely good score. Thanks! I would love to pick up the Criterion edition sometime. I watched this via Hulu Plus, and the only option was sans music. Still quite the experience though. Available on Youtube huh? Well, that certainly puts it at the top of my must-see films. I certainly hope to feel nearly as captivated by it as you did. Great review Eric! Thanks, Niels — hope you enjoy the film! wow, a rare 10/10, so this is one of your all-time favorites now, is it? The use of close ups and the central performance were amazing, I agree. A couple of other Carl Theodor Dreyer films I watched last year, and was really impressed by: Day of Wrath (1943) and The Word (1955). Oh yeah, it’s not often I give out tens. This is definitely one of the best films I have ever seen. Thanks for the tips on Dreyer’s other work — I will make it a point to track those down. Great review here man. Falconetti really did redefine (or rather, define) acting in this film. Yep, there’s no arguing that it’s one of the best performances ever. Thanks dude! Agree with you 100% on Falconetti’s performance.